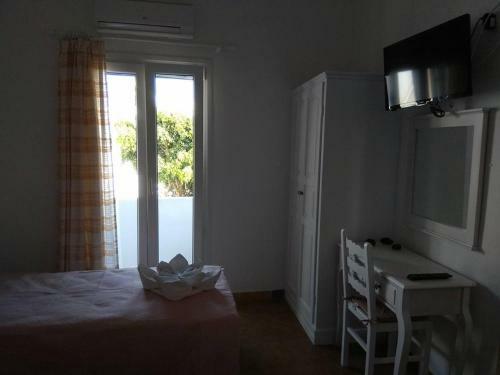 Great location, right in the heart of the main town with view of port. Excellent location on the harbour front. Great views. On the corner of the Main Street with its many bars and restaurants. Excellent location Friendly staff Clean rooms Great rate! Bella camera, pulita, primo bagno con doccia nuova. Posizione centrale vicino al porto. Appartamento ampio. Spazio comune con vista sul mare. 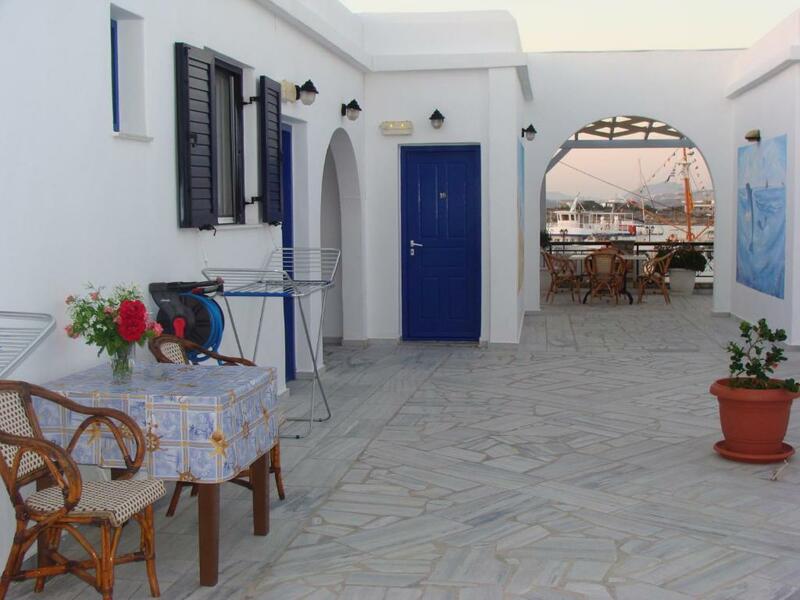 Located 150 feet away from the port of Antiparos, Akrogiali Studios & Rooms features air-conditioned accommodations with free WiFi. 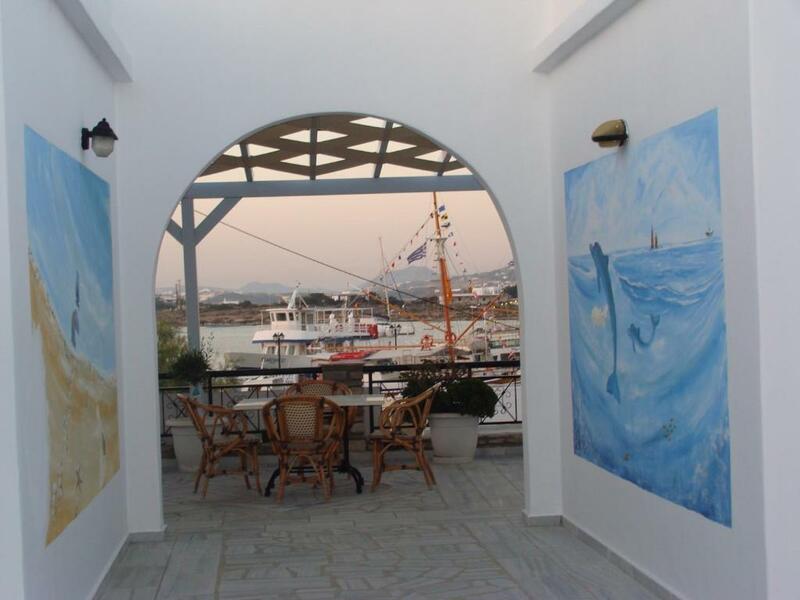 A shared terrace with sea views is offered. 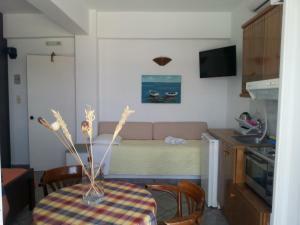 Rooms and studios at Akrogiali will provide you with a TV, safety box and hairdryer. Some units come with a kitchenette with mini oven, while they all have an electric kettle and mini fridge. Some units open to a balcony, and most enjoy sea or garden views. A snack bar and restaurant can be found within the property. Within 150 feet you will find shops and mini markets, where you can be provided with your daily supplies. Psaraliki Beach is also 1,000 feet away. The reception can help with ticket services. Free parking can be found near the premises. 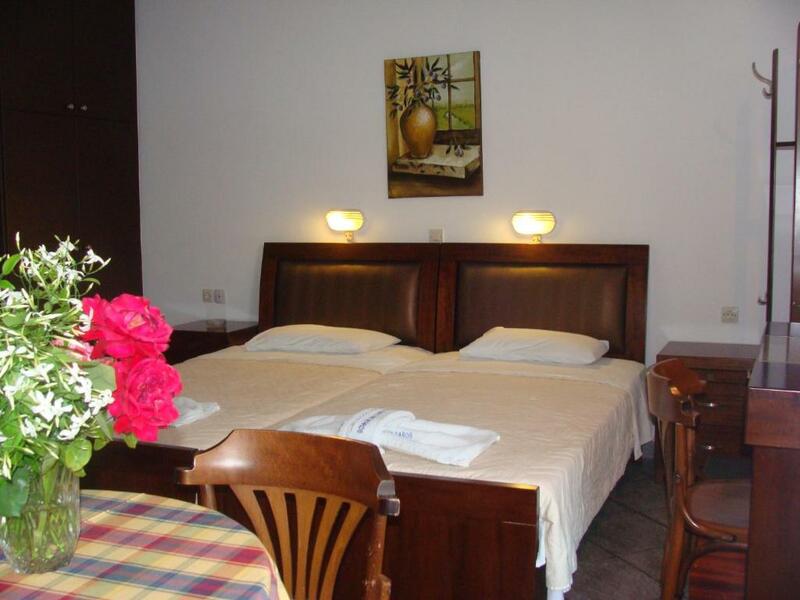 When would you like to stay at Akrogiali Studios & Rooms? MY NAME IS MARINA AND I OWN THE TRAVEL & TOURISM AGENCY OLIAROS TOURS SINCE 1989 , WHICH IS ALSO THE RECEPTION FOR AKROGIALI STUDIOS & ROOMS . 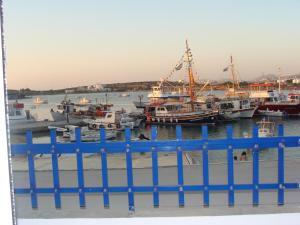 I GROW UP IN ANTIPAROS AND IN THIS NEIBUR I HAVE SPEND ALL MY SUMMERS ,THERE IS NO BETTER PLACE TO SPEND YOUR DAY IN ANTIPAROS . 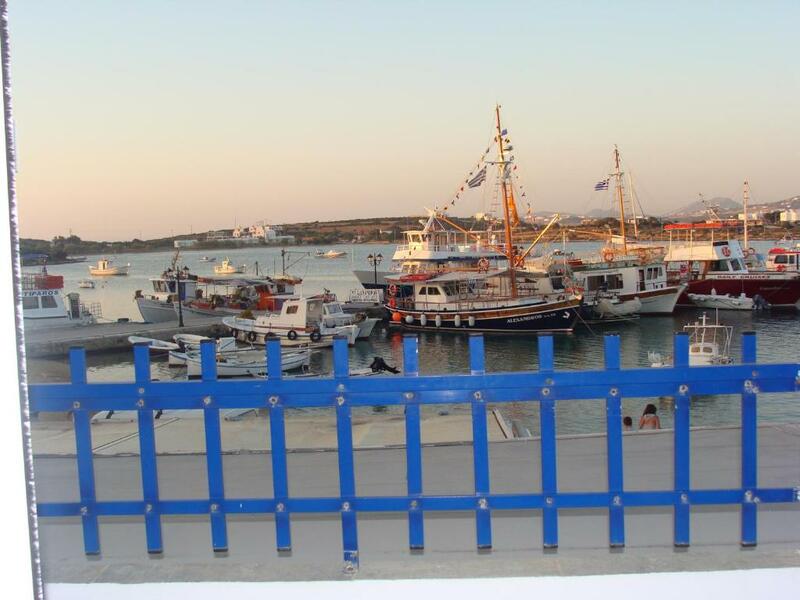 YOU CAN WATCH THE FISHING ,CRUISE, AND PASSENGER BOATS AND THE CHANEL BETWEEN PAROS AND ANTIPAROS .ALSO THERE ARE VERY NICE CAFE AND RESTAURANTS .THE VIEW IS PERFECT . House Rules Akrogiali Studios & Rooms takes special requests – add in the next step! Akrogiali Studios &amp; Rooms accepts these cards and reserves the right to temporarily hold an amount prior to arrival. 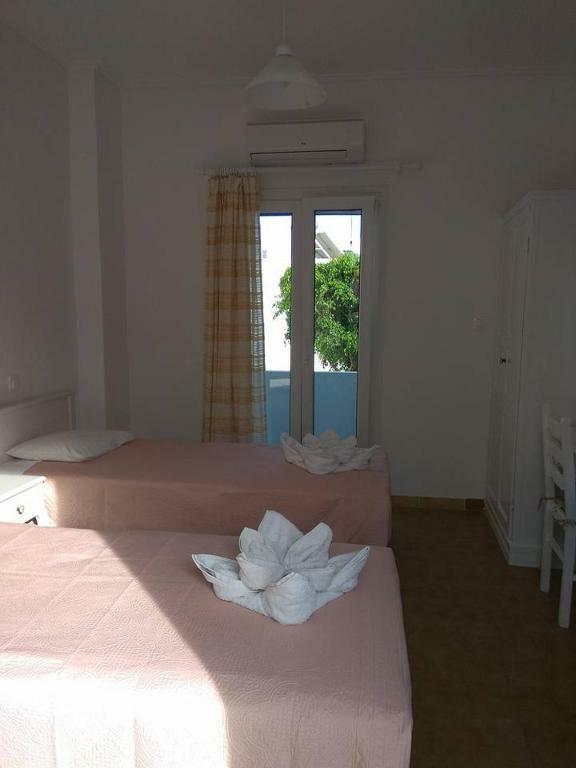 Akrogiali Studios & Rooms accepts these cards and reserves the right to temporarily hold an amount prior to arrival. Kindly note that the reception is located on the ground floor. Please inform Akrogiali Studios & Rooms of your expected arrival time in advance. You can use the Special Requests box when booking, or contact the property directly using the contact details in your confirmation. Room was very outdated and basic. Bed was uncomfortable, mattress was very hard and even though the rooms were very clean there was often an offensive odour from the sewerage. The staff were pleasant enough but not that approachable or friendly. 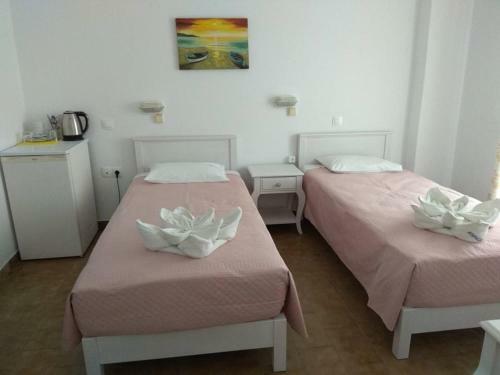 this is one of the worst places i have ever stayed.We paid a lot of money to stay in a room where there were ants in the bathroom, the furniture were really old and last but not least the noise in unbearable. It was like sleeping on the street. You could literally listen to everything the next room people were saying. We woke up at least four times in the night because there were doors opening and closing and people were talking. When we said to the lady at the reception that they should at least change their doors because we could not sleep, we got no answear.